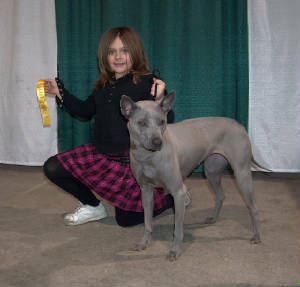 8 year Old MORGAN BAILY placed 3rd in her Rare Breed Club of South Western Ontario Junior Handling Class with CH.RAINBOW VALLEY KENNEL'S NIM at the Toronto Sportsmen Show. 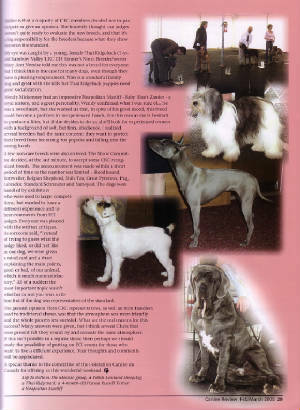 It was a huge entry, 13 in her class and some very tough competition. URBAN LEGENDS WINS FIRST IN BOOTH COMPETITION. All of the hard work paid off. 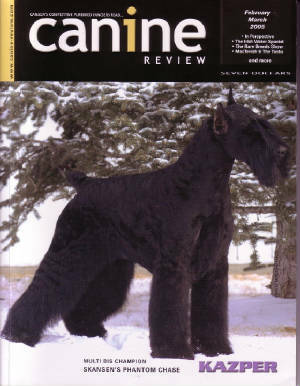 Three representatives from The Toronto Sportsmen's Show judged all of the booth displays and awarded us FIRST PLACE. Special Thanks to Karen for all of her help. Ch. 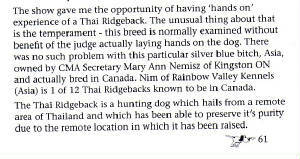 Rainbow Valley Kennel's Nim does it again. 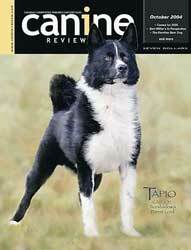 ended up in Canine review once again. CH. 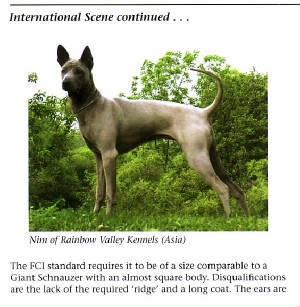 Rainbow Valley Kennel's Nim.